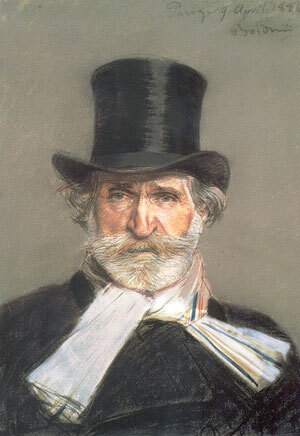 Giuseppe Verdi was born in Le Roncole on the 9th October 1813, the son of an innkeeper and small-scale farmer. 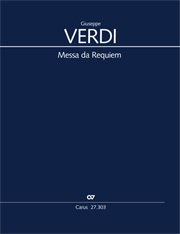 Although he grew up in poor circumstances his extraordinary musical talent was soon recognized and he received organ lessons, then – assisted by a patron – he entered the Busseto Gymnasium. 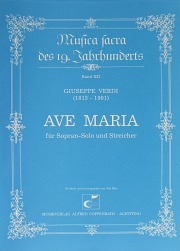 His benefactor Antoni Barezzi continued to assist him privately after the Milan Conservatoire had refused him admission. Following some years as organist and director of music in Busseto he made his breakthrough in Milan with the premiere of the opera "Nabucco" in 1842. 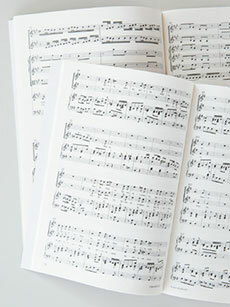 The works which he wrote after 1850 are still among the principal pillars of the opera repertoire. 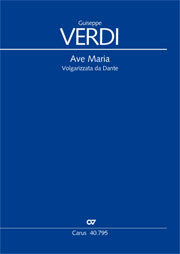 Giuseppe Verdi: Fuoco di gioa!